You have also noticed that Google has launched new layout few days back. This new layout has a back background and content align at the left side. If you have screen of Less size, you will not see any problem. But bigger and wider screen monitor will see problem in running the YouTube by showing most of the screen as white at right side. This is not the first time, Google is testing this kind of layout. If you could remember, Google had launched similar kind of layout for Google+ few months back and faced criticism. 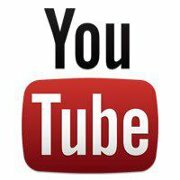 Left align YouTube is also facing criticism from users all over the world. Although you will not face any problem in accessing YouTube aligned to left, it looks weired to eyes. 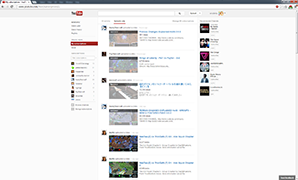 If want to align main content part to the center of the YouTube, you can use the YouTube Center Aligned userscript. This userscript works in Chrome and FireFox. I can also support other web browsers too. After installation, it changes the page alignment from left to the center of the screen. Chrome users can simply download this userscript by clicking on the install button. As we know that Google has blocked the third party website. So we need to follow few more steps to install this on the chrome. Now go to the setting -> Tools -> Extensions and drag and drop the downloaded script to the extensions list. And it will prompt to install the script to the browser. Reload YouTube page after installation. FireFox users will need a Greasemonkey extension first. After that they can simply install this script by using install button. Now you will see center aligned YouTube. If you have any other problem related to computer and Internet, you can ask us on UseThisTip Ask community.